England football governing body, The Football Association (FA) have proposed the introduction of B teams into the Football League in order to improve the England international side. The FA outlined the potential changes in the Chairman's England Commission Report, released on Thursday. The proposals suggest creating a fifth tier of the Football League - League Three - for the 2016-17 season which would include Premier League B teams, as well as the top sides from the Conference. 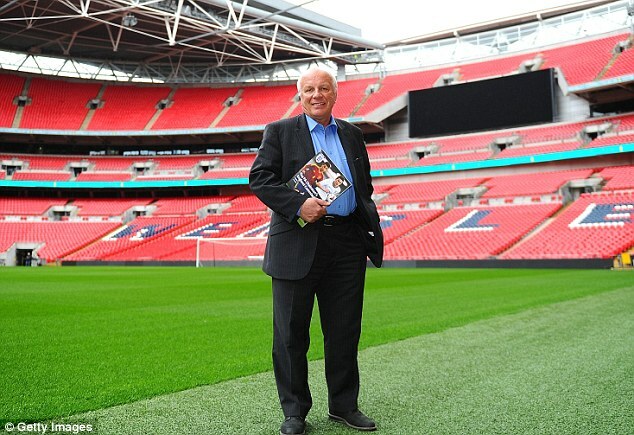 Basically, the central plank of Dyke's revolution, with the 82-page findings unveiled by the FA chairman at Wembley on Thursday afternoon would see the top flight having the opportunity to play in that new fifth tier or the Conference. There would be promotion and relegation across all four divisions but B teams would not be able to rise above League One or play in the FA Cup. Dyke could yet face major opposition from the Premier League but he has been given personal assurances that he will receive the support of Manchester United, Manchester City, Liverpool, Tottenham and Stoke. He said: 'We have had a lot of interest and enthusiasm from the big Premier League clubs about having B teams in a lower division. Liverpool, the Manchester clubs, Stoke, Tottenham have no problems in talking about it and recognising the problems they have got. The commission is Dyke's personal crusade to improve the fortunes of the England team, and he has also recommended the creation of a new type of relationships between clubs called a Strategic Loan Partnership. Premier League and Championship clubs would be entitled to establish SLPs with up to two clubs in divisions below the Championship. The senior team could lend each lower club up to eight players in a season, although only five could be on the team sheet at any one time. SLP clubs could also lend coaches to share their expertise, with the commission estimating there could be 15 lower league outfits that enter into SLPs with Premier League or Championship sides. The third main proposal from Dyke is a major overhaul of work permit regulations, which is seen as a major obstacle to homegrown footballers flourishing. Dyke wants a cap of non-EU players allowed at any one club. The commission want the maximum number of non homegrown players (those trained for at least three years in England before their 21st birthday) would also be reduced – over a five-year period) from 17 to 12. Following UEFA's lead, the commission also want a quota of four club-trained players in a 25-man Premier League squad by 2020. It also believes no players coming in on non-EU visas should be allowed to join clubs in any division in England other than the Premier League. Dyke said: 'This decline is a problem in countries right across Europe but it is a significantly bigger problem in England than anywhere else and if the trend continues we fear for the future of the English team. 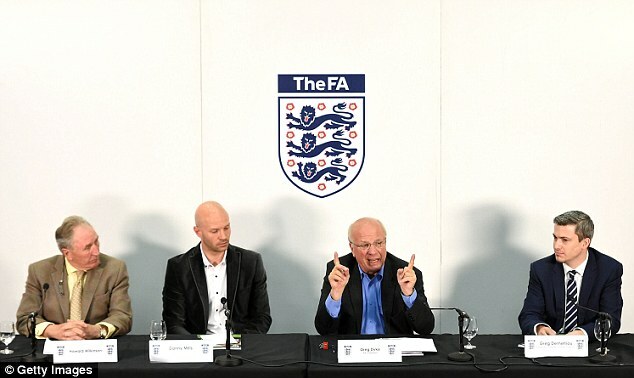 In the introduction to the report, the FA outlined the problem facing the national team. In 20 years the number of English players playing in the Premier League has fallen by more than a half and the trend remains downwards. If this cannot be reversed a future England manager will have fewer and fewer top level from which to choose. In the 2012-13 Premier League season only 32 per cent of starts were made by English players, compared with 69 per cent 20 years ago. Last season 42 Spanish players played over 50 per cent of games for a top-six team in one of Europe's top five leagues. Germany also boasted 42. England had just 18. The aim, said the report, is to have 90 English players playing more than 50 per cent of games in top five European Leagues, compared with 66 today; with 30 in a top six team. Because of B teams in Germany and Spain their 18-to-21 year olds play 2.6 times more competitive football than their English counterparts. Dyke said: 'A B team would be the youth development squad of a Premier League club, fully integrated, they would share its name and be part of that club. Across most of Europe B teams provide an effective bridge between the Academy and the first team. In a thinly-veiled attack on the Premier League, the report suggested that neither their academy nor their Under 21 league systems were working effectively. 'Evidence presented to us by many of the clubs suggests that EPPP is not yet delivering sufficiently competitive football at the final end of the development pathway to prepare young players for first team football. The Under 21 Premier League is not the “springboard to the first team football” that it needs to be,' said the report.